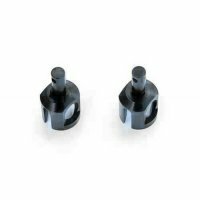 TKR2210 – M6 Driveshafts (front/rear, axles only, SCTE, 2WD Electric Rustler/Stampede) – Tekno RC, LLC. 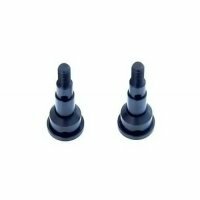 These are the axle replacements only. 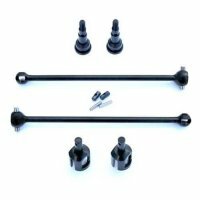 Outdrives, stub axles, pins, and barrels are sold separately (see parts list below). 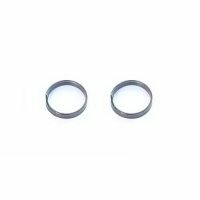 *These can be used in conjunction with 1951x to work on the electric 2WD Rustler/Stampede. 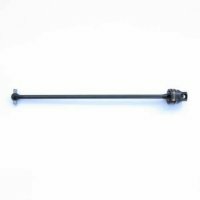 Add another hit to Tekno RC’s growing list of performance upgraded driveshafts. 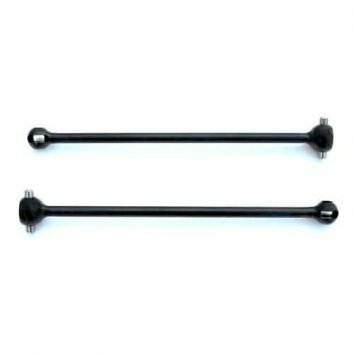 This time we bring you the most efficient and most durable driveshafts available for the Losi SCTE. We started with new ‘Big Ball’ shafts. The bigger ball on the end provides smoother suspension action and prevents the axle from hitting the outdrives on full compression. This required us to design some new outdrives as well – no problem. 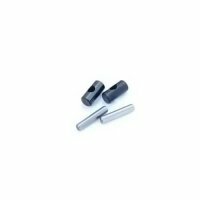 They are hardened for durability and ultra light for the best acceleration. We didn’t stop there, we made new stub axles too. The new stub axles allow for more steering angle while being smoother (more efficient) than the stock units at any angle. This means they won’t bind at full steering lock. They are also made from the same material as our other driveshafts which means they will last far longer than the stock units. Note: These driveshafts are not compatible with the stock driveshaft parts (i.e. you can’t use our shafts and the stock outdrives for example).